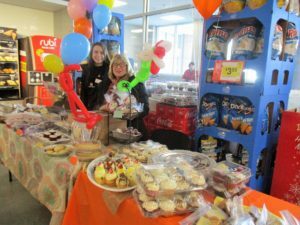 at Stop & Shop in Litchfield, CT on Saturday, April 14, from 10am – 3pm. There will be baked goods of all kinds, including the most amazing cupcakes and Snickerdoodles, the happiest of cookies! 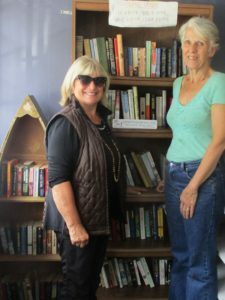 The fabulous Charcoal Chef restaurant, 670 Main St. N in Woodbury has chosen Little Free Library at StoneHill for their Nonprofit of the Month for June. 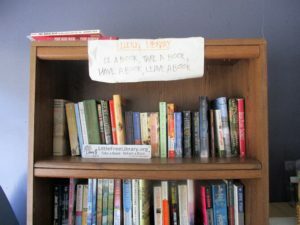 On June 4, 10% of the day’s receipts will be donated to Little Free Library at StoneHill. Diners are not paying anything extra for their meals. There will also be wonderful chance-to-win prizes. Join Rose Buckens and Jo Ann Jaacks on June 4 – let’s build a big lunch crowd! Thank you, Charcoal Chef! !